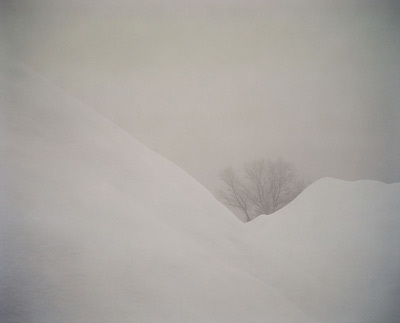 Nova F presents a concise overview on contemporary photography in Slovenia. Through a selection of artists and artist groups with different approaches to the medium, three thematic set-ups will be carried out. The second exhibition The World Outside accentuates on documenting the outer world and intimate perception of reality. Histories of photography usually start with the discovery of chemicals that due to the action of exposure to light, will darken, fade or physically react in some manner. The initial interest in these discoveries was always related to the capture of the same visual reality that could be observed in the darkened room of a camera obscura, with the image projected on a wall opposite the opening. One of the very earliest inventors, Fox Talbot, produced images without a camera at first and his intention was to some extent similar to others, in that he wanted to objectively copy the observed world. Eventually, the camera became the tool to control and capture images, whilst the resulting images took on the role of narrating stories from distant times and places. An increasing awareness that every chosen standpoint and every view is subjective provided photographers and artists with new possibilities of expression. The world observed through the camera’s lens is no longer solely used as a representation of a scene, but frequently used to express and portray the photographer’s thoughts, emotions and sensations. The World Outside is the second of three exhibitions created as part of a project called Nova F: Tendencies in Slovene Photography; featuring new achievements in the field of photography in Slovenia since 1975. The exhibition gives an outline of events in the field of photography in Slovenia and the chosen photographers were not selected according to theme, style or artistic approach but through the single criteria of quality, and therefore demonstrate various conceptual models. Despite the varied themes and styles within these modern art pieces that avoid any clear stylistic classifications, the featured photographs do, to some extent, share the same research orientation. This year’s exhibition comprises nine artists placed in three different independent units based on their photographic expression. The first unit features Bojan Radovič, Aleksandra Vajd & Hynek Alt and Andraž Beguš, primarily focusing on the theory of photography, on viewpoint and vision and the importance of photography in terms of media and art. The second unit features Tanja Verlak, Peter Koštrun and Matjaž Wenzel whose work can be characterized as a documentation of the outside world, then further employed for the interpretation of the intimate experience of the real world. The third unit features Tomaž Tomažin, Tilen Žbon and Žiga Pilih who share a constructive approach to photography with the artistic freedom of manipulation, leading their work to the very edge of the photographic character.